Cover image for illustrative purposes. 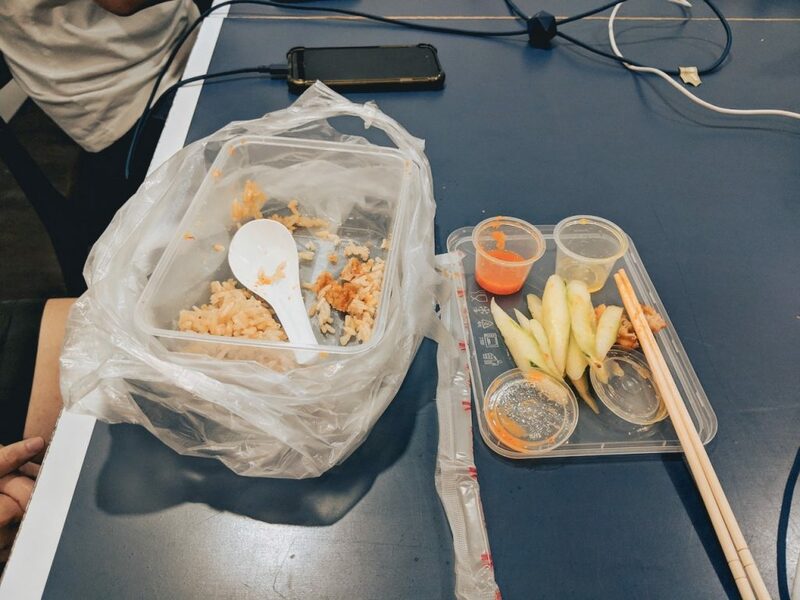 As workaholics who have too much to do and too little knowledge in the way of time management, most of the RICE team eats a sad desk lunch at least once a week. When we do, we dabao from the nearest hawker centre. 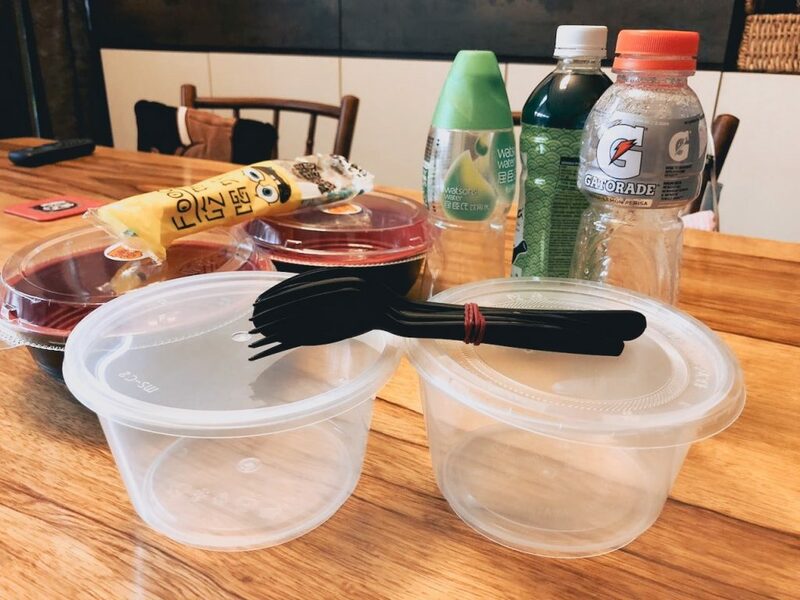 We don’t bring our own containers or tumblers, so a standard lunch usually includes one plastic takeaway container or styrofoam box, one plastic bag or cup for a drink, a plastic straw, and at least two plastic utensils. Occasionally, we even end up with a number of small plastic containers containing sauces, or an additional plastic bag with snacks for the afternoon. On top of this, there is at least one larger plastic bag to carry our food back to the office. 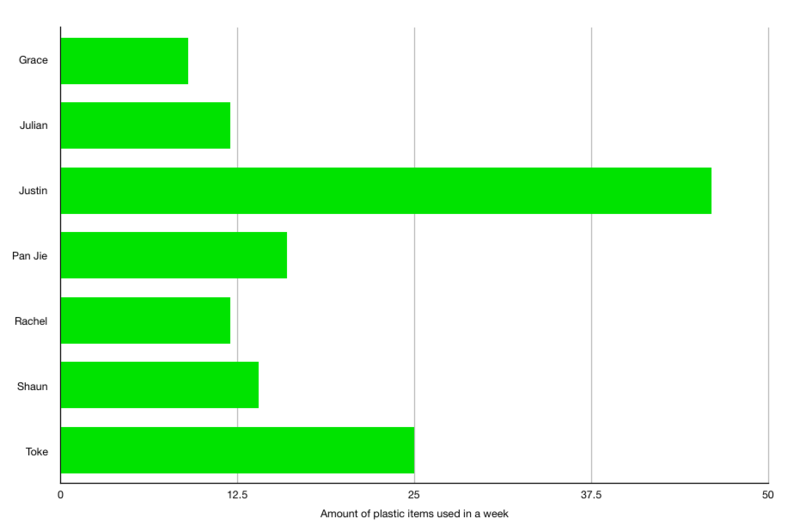 Essentially, one person can use about eight plastic items in just one afternoon. Just one meal from one person can accumulate so much plastic. This was Toke’s lunch. The number may be a rough gauge, but the statistic was enough to shock me into formulating an experiment to highlight our apathy towards plastic use. 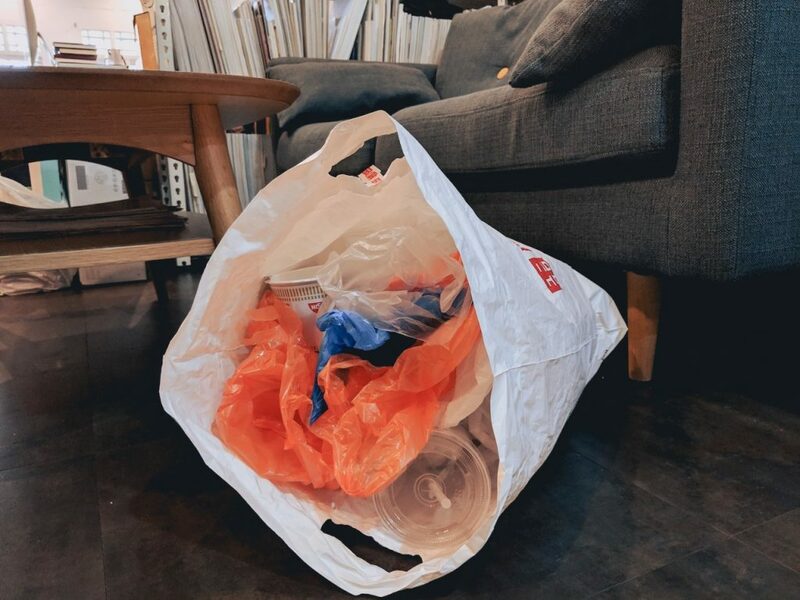 In order to track and minimise our individual plastic use, I got everyone to note all the plastic items they used in a week, including those outside office hours. I’ll be honest, the results left me stunned. The amount of plastic we each used was way more than anyone could have guessed; I can only imagine the plastic consumption per week in a larger company. It’s tempting to highlight how much plastic was used just to dabao one meal or how many unnecessary cups of coffee we bought (ahem, Justin, please). I am also inclined to state that if we hadn’t spent on food we could do without, such as the McDonald’s sundae, we could have used less plastic. Criticism aside, there’s a larger point. Which is that our fight against plastic thus far has become a little misguided. 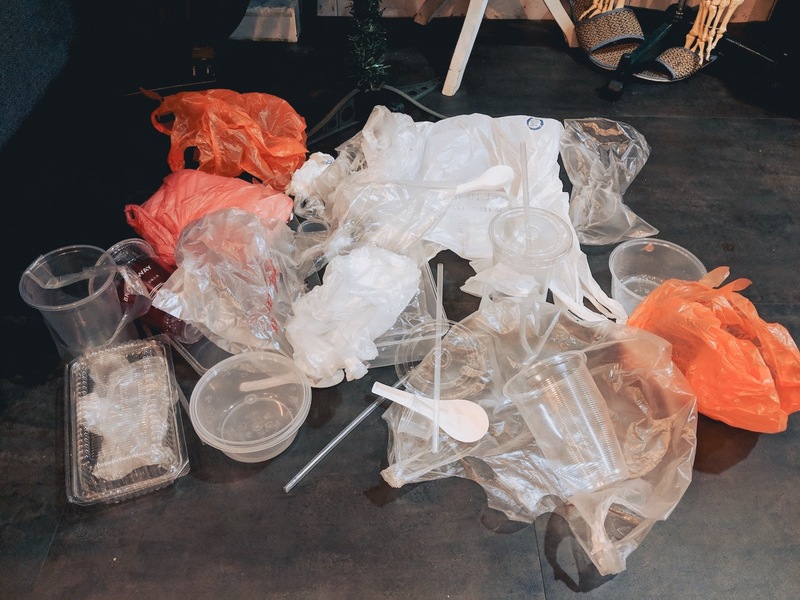 Up till now, we may have rightfully focused on reusing/reducing/recycling individual plastic items, especially single-use plastic takeaway containers, plastic bags, and plastic straws. But it’s also time to stop being fixated on demonising these plastic items. Yes, plastic is harmful for the environment. However, so is any material that we use blindly and excessively. So the problem isn’t really plastic, it’s how ingrained mindless consumption has become. Rachel’s plastic use in a week. Consider the increase in consumers purchasing metal and bamboo straws (and cutlery). This is supposed to reduce our use of single-use plastic. Yet while this is an admirable initiative, many customers buy these items even when they lack a need for them. We’ve merely shifted our unthinking consumption from plastic to another material, clueless to the fact that the problem becomes larger than plastic once we do. This stems mainly from our lack of social awareness. From young, we’re not taught how to co-exist with the environment, and we don’t develop a love for nature like we would a family member or friend. In schools, sustainable living is mostly taught as a concept rather than a mindset and a way of life. And outdoor lessons, if any, are a novelty instead of the norm. So when we consume at such a rapid rate, we become nearly immune to the fact that the Earth is running out of materials and natural resources. Inadvertently, when the effects of our consumption don’t explicitly affect our daily behaviour, we become indifferent to larger issues like climate change. In the end, no matter how much we want to subscribe to being more environmentally conscious, sustainable living feels more like a fad than an actual approach to our existence. The whole experiment might have been superficial, but it made me realise how necessary it is to think more deeply about the broader implications of consumption, from the food we eat to the clothes we buy. At this stage, we must go beyond merely reducing plastic use or recycling existing plastics. In other words, policy change needs to happen for individual efforts to have greater impact. 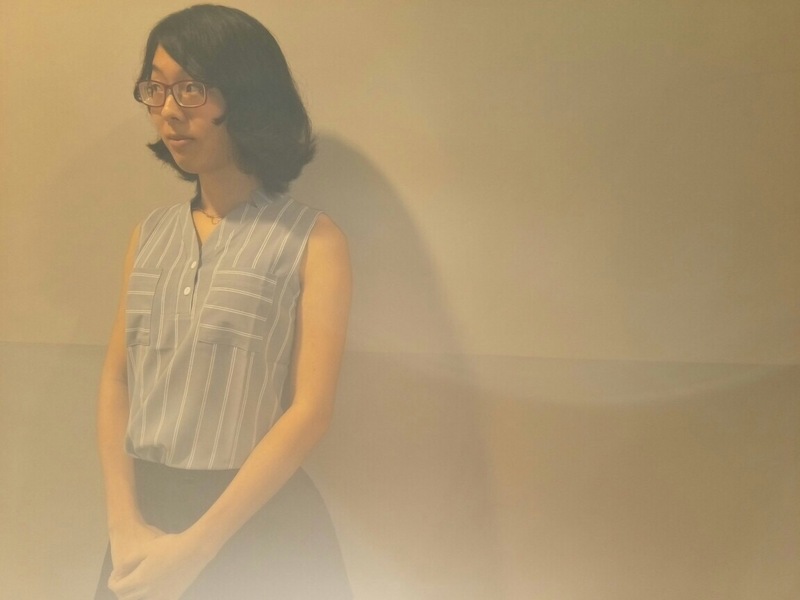 Last month, for instance, MP Louis Ng raised an adjournment motion in Parliament to charge for single-use carrier bags, regardless of their material, in order to rid Singapore of our “throwaway culture”. 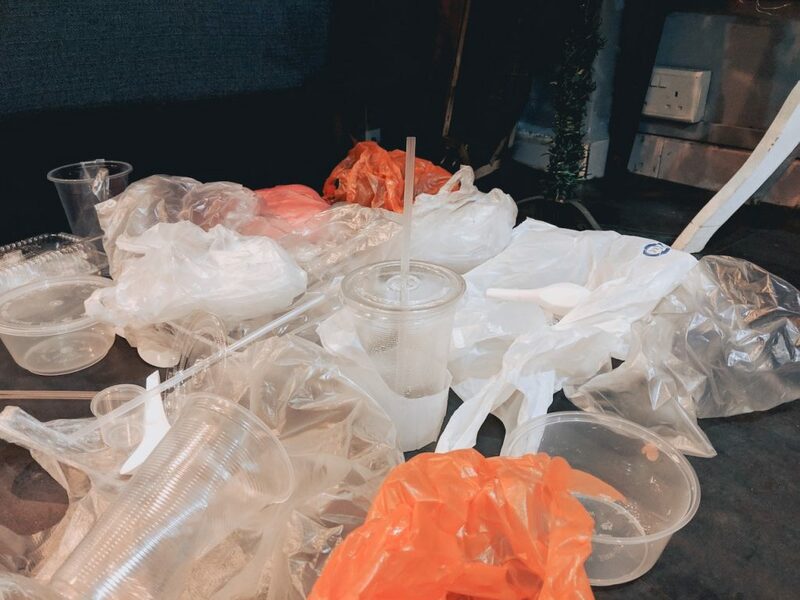 For this month’s Parliamentary sitting, Mr Ng will also ask if Singapore “plans to build a complete plastic recycling infrastructure [here] to cope with all our recyclable plastic waste instead of having to export it overseas”. Policies that are targeted at reducing plastic use or charging for takeaway containers are all well and good, but we need to embrace mindful consumption from young through multidisciplinary policy work. This is the fundamental point we haven’t quite addressed in our attempt to kill our habit of constant, compulsive, plastic consumption. After all, climate change isn’t solely the responsibility of an environmental ministry. It should be inculcated into education policy, economic policy, and social development policy, just to name a few areas. 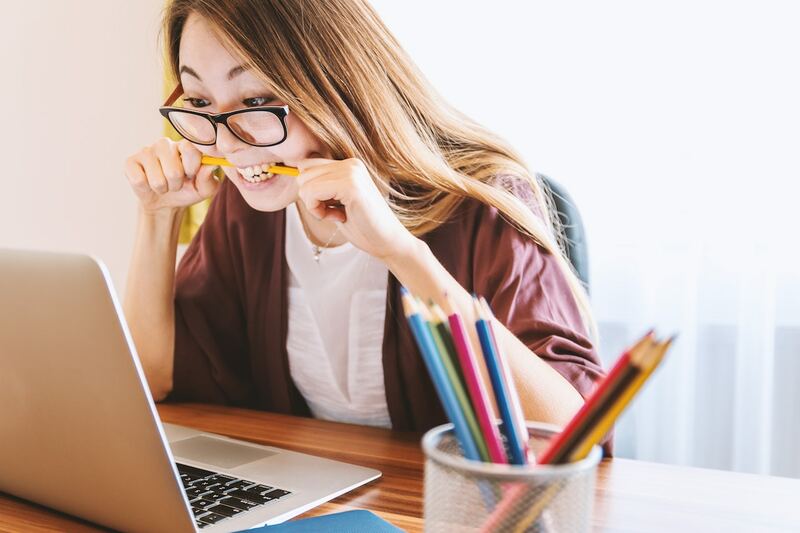 In the meantime, we can still focus on the little ways in which we can reduce individual plastic use, such as not eating lunch in the office and not buying coffee when you can make your own damn cup in the office (cc: Justin!!!). On top of bringing our own reusable bags to supermarkets, we must also remind cashiers not to double bag our groceries—the epitome of mindless plastic use. For instance, I’ve never understood why we needed to bag pastries and buns in separate small plastic bags, instead of placing them all in one bigger plastic bag (or a cardboard box). This is all food to be consumed, after all, not nuclear waste that would contaminate each other. On my part, I’ve stopped buying from bakeries that already sort their pastries and buns into individual plastic bags. Frankly speaking, I feel like a broken record having written several articles about the importance of being more conscious citizens. Yet if there’s one thing this experiment has taught me, it’s that the little things can snowball into a bloody huge problem. The pile of plastic from my team after just one week is proof enough. So I may not be an environmentalist, but I can be irritatingly persistent when I believe in something. I will continue to write about how policy can change our consumption habits; to voice my support for politicians who are making a difference, and critique those who are only hindering the process. And if this article makes just one person rethink their consumption habits, I don’t think our efforts were in vain. For now, Justin Vanderstraaten, PLEASE STOP USING SO MUCH PLASTIC. This mini experiment was conceived in collaboration with ‘Recycle More, Waste Less’, a DBS initiative to meet the needs of today, while looking after the needs of tomorrow. If you are just as appalled by our waste, feel free to judge us. Then pledge your commitment to #RecycleMoreWasteLess here.